Dr. Eubulus Kerr is a fellowship trained orthopaedic spine surgeon who specializes in minimally invasive spine surgical procedures. He is double board certified from both the American Board of Spine Surgery and from the American Board of Orthopaedic Surgery. 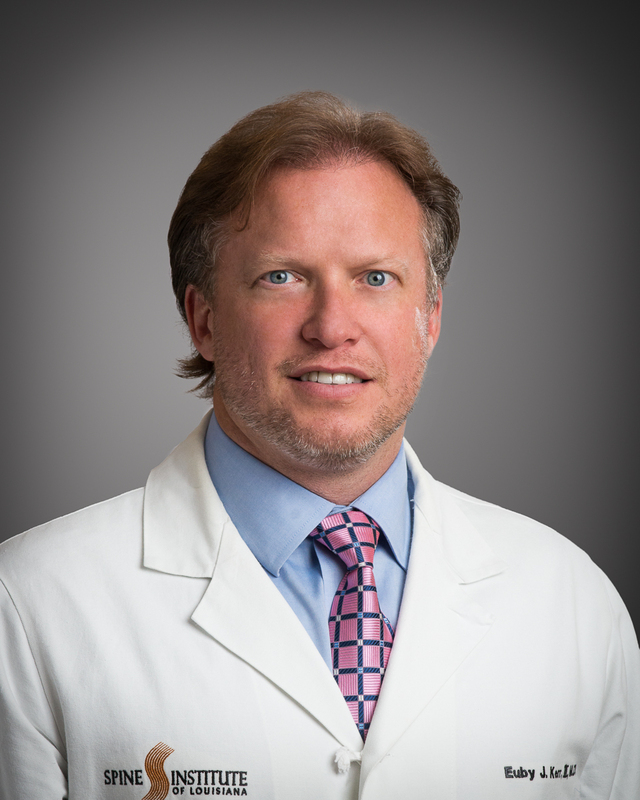 Dr. Kerr completed his residency at Indiana University Medical Center and his Spine Fellowship at the University of Chicago Spine Center – Weiss Memorial Hospital. He has lectured both nationally and internationally in the field of spinal disorders. Dr. Kerr participates as a consultant with two medical device companies in both a teaching and in a design capacity and has published papers and articles on topics related to improving spinal medicine and surgery. He is currently involved as either a principal investigator or co-investigator in several clinical trials that are underway at the Spine Institute. His hobbies and interests outside of the clinic include spending time with his family, hunting and tennis. He is married to Gina Rauh Kerr and has three daughters and a son: Sophia Nicole, Sloane Isabel, Kennady Renae, and Euby J. Kerr, IV – “E.J.”.